Previous: Chocolate Coconut Caramel Cookie Bars! It’s summertime. You need a lighter, but satisfying dessert. The sun is shining. mmmm lemon sounds good. What do you make? 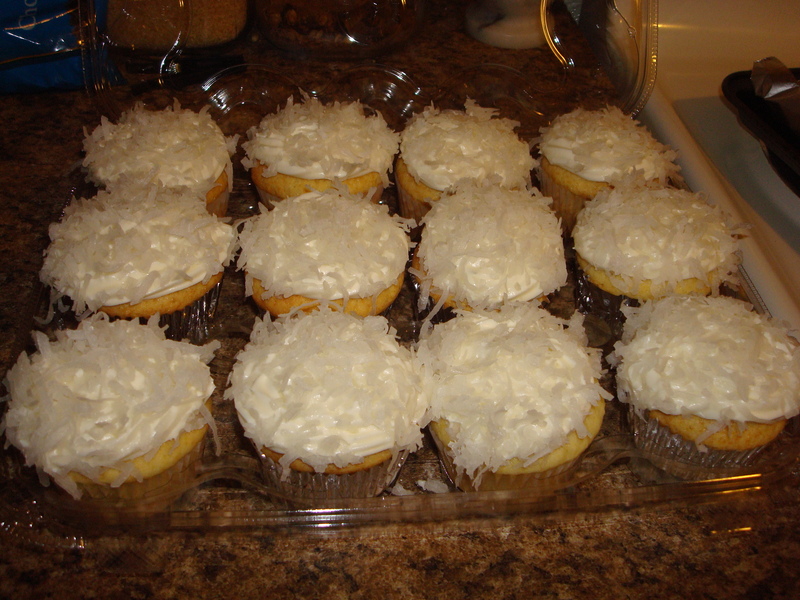 How about some luscious lemon cupcakes with cream cheese lemon coconut frosting! Yes, please. I made these for a friend’s bridal shower! 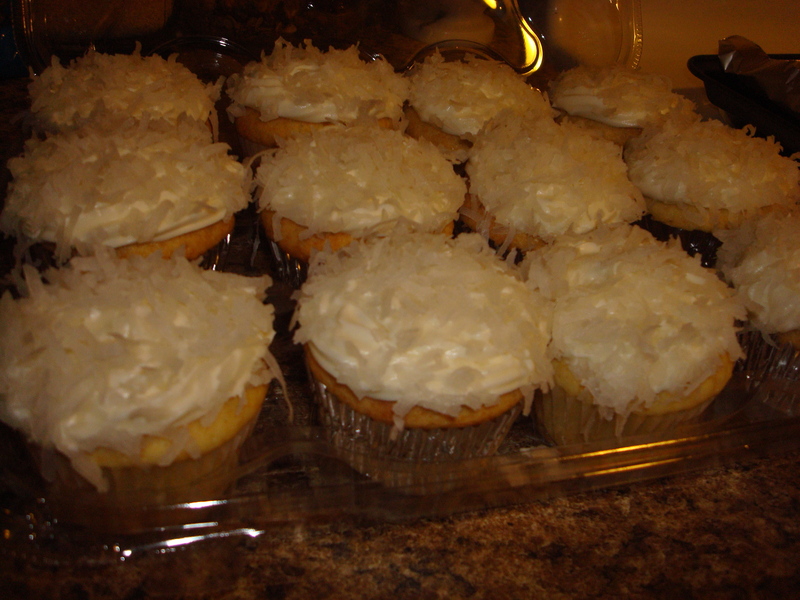 So of course, I first fine-tuned the recipe by making it a few times. I brought some to work, some to friends, some to me… 🙂 What a hit! 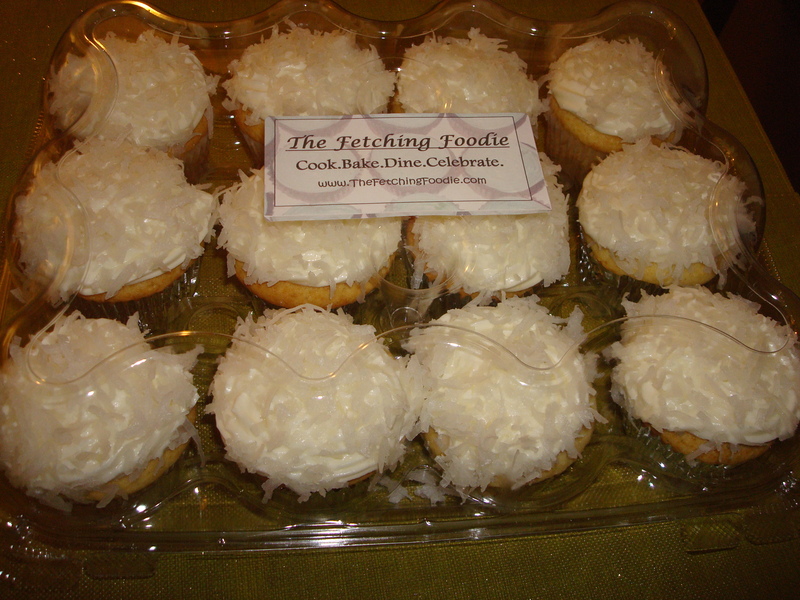 Then, I brought nakid cupcakes to the bridal shower. 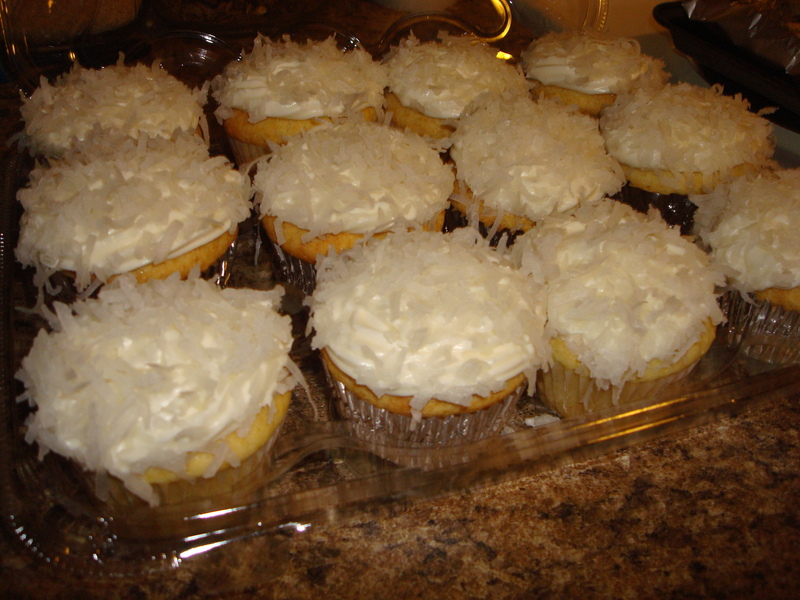 There I gave a “How to Frost a Cupcake” tutorial, and then everyone frosted and decorated their own cupcake! 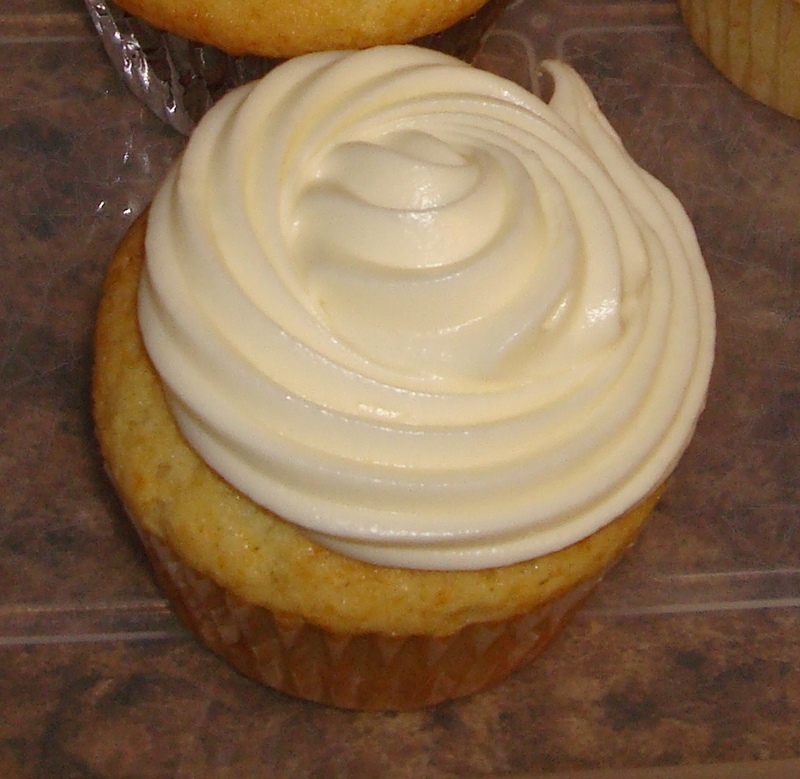 The lemon ones are in the white tulip papers; in the red are my Cookies ‘n’ Cream Cupcakes! Ready to make some cupcakes?! Here we go!! 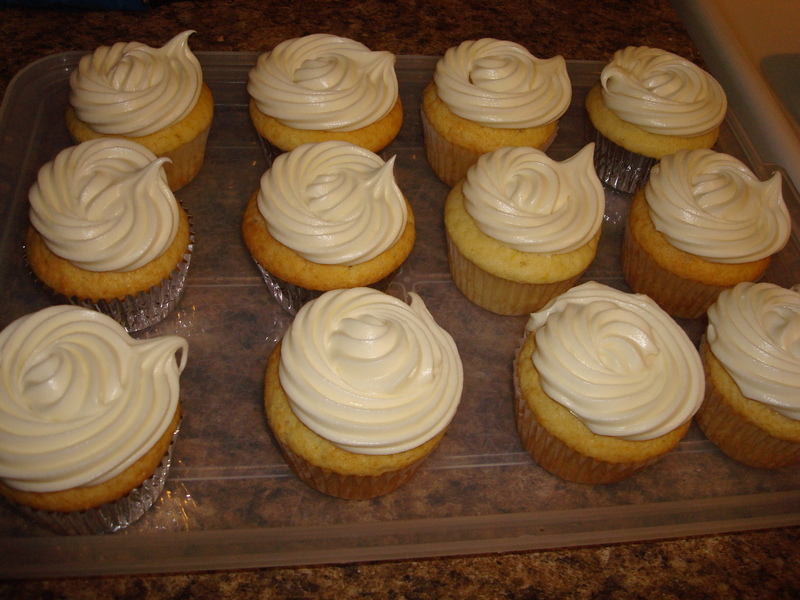 Luscious Lemon Cupcakes with Lemon Cream Cheese Frosting! 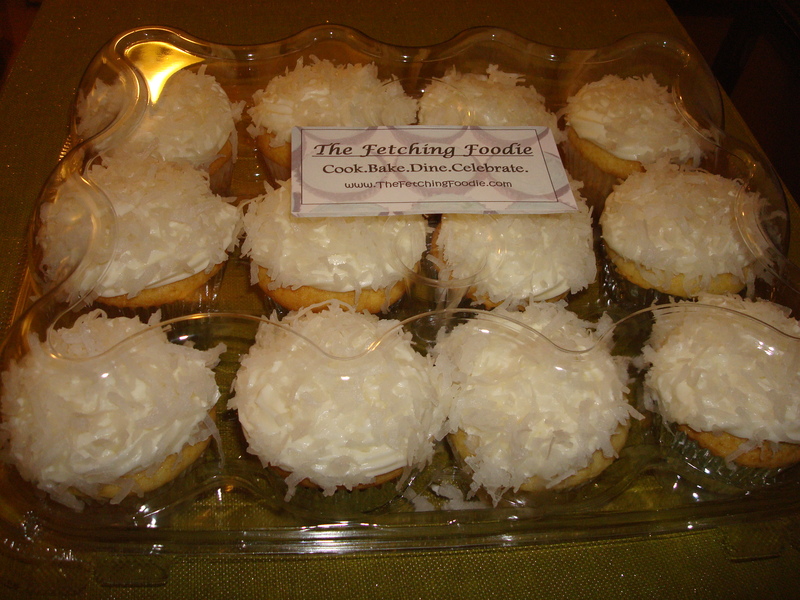 Makes 2 dozen regular-sized cupcakes. 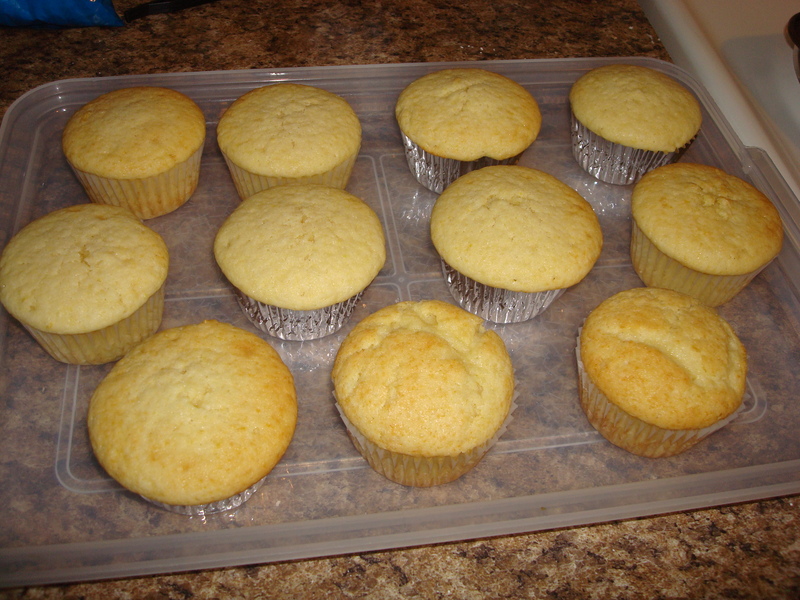 1) Preheat oven to 375 degrees F. Line cupcake pans with cupcake liners. 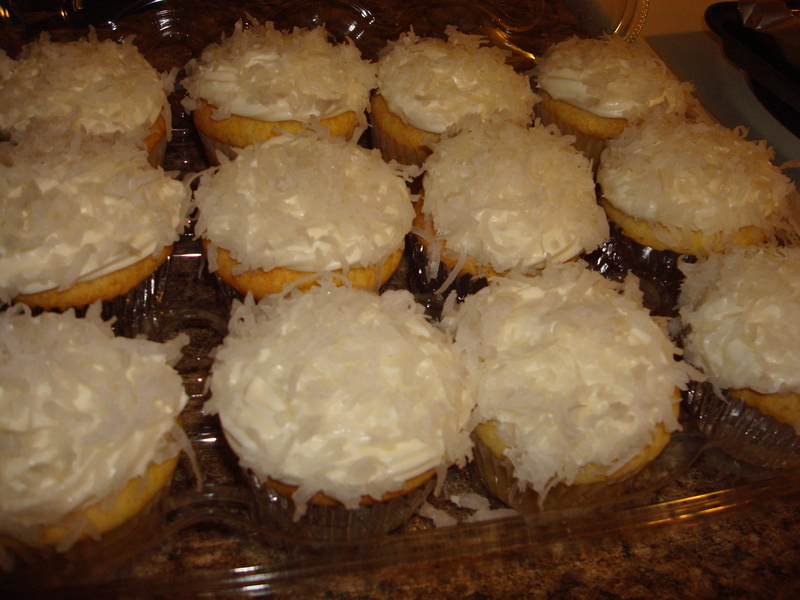 3) In a large bowl using an electric mixer, cream together the butter and sugar until light and fluffy. Add in the eggs, lemon zest, and vanilla, beating well to fully incorporate.  4) Alternatively add the flour mixture and the sour cream to the butter mixture. Make sure not to over-mix– you want everything to be just all combined. 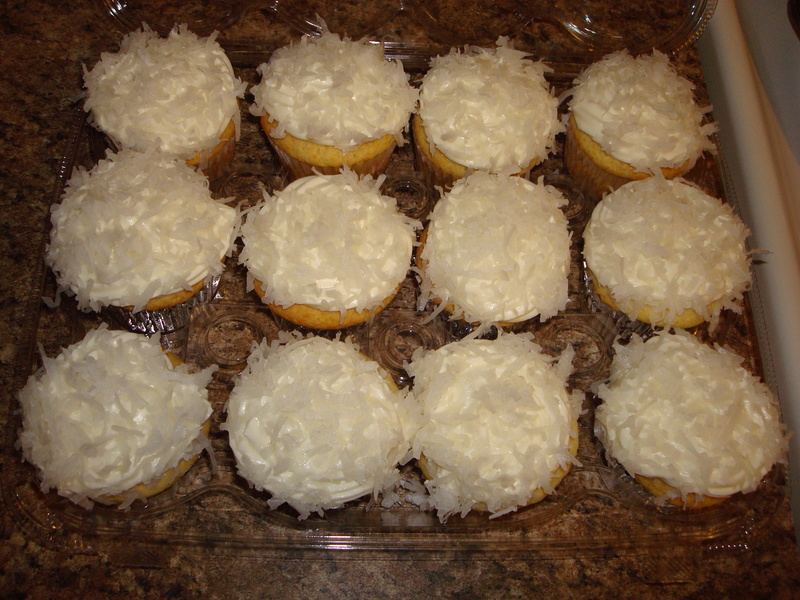 5) Using a large cookie (baking) scoop (or spoons), fill the cupcake cavities about 2/3 full. 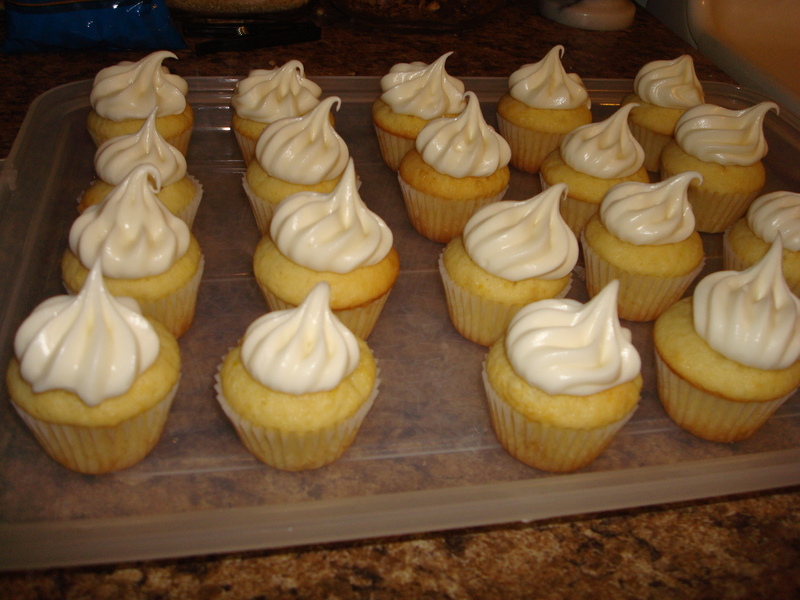 6) Bake the regular-sized cupcakes in the preheated oven for 18-22 minutes, or until the batter is no longer loose and the tops have a hint of golden brown. 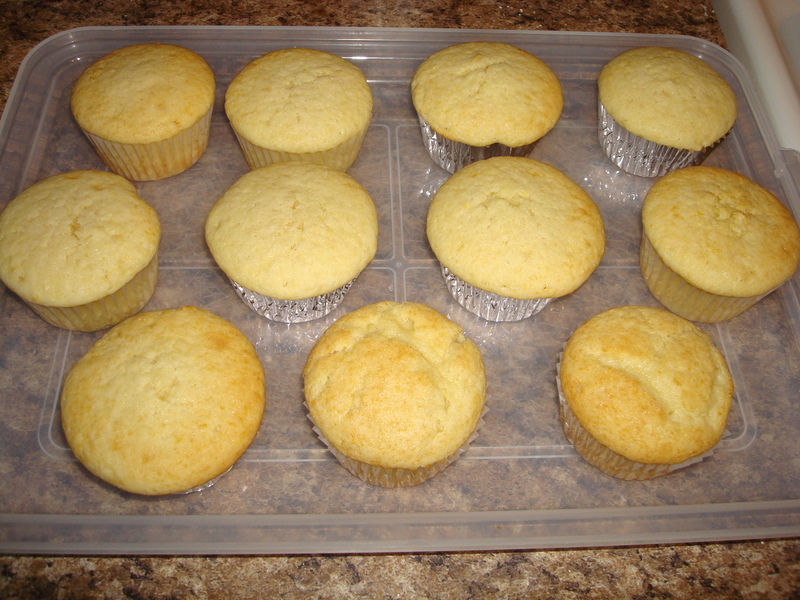 7) When they’re done in the oven, remove the cupcakes to a wire cool rack. Cool completely before frosting. Cream together the cream cheese and butter. Slowly add in the powdered sugar. Then, add in the vanilla and the lemon juice. 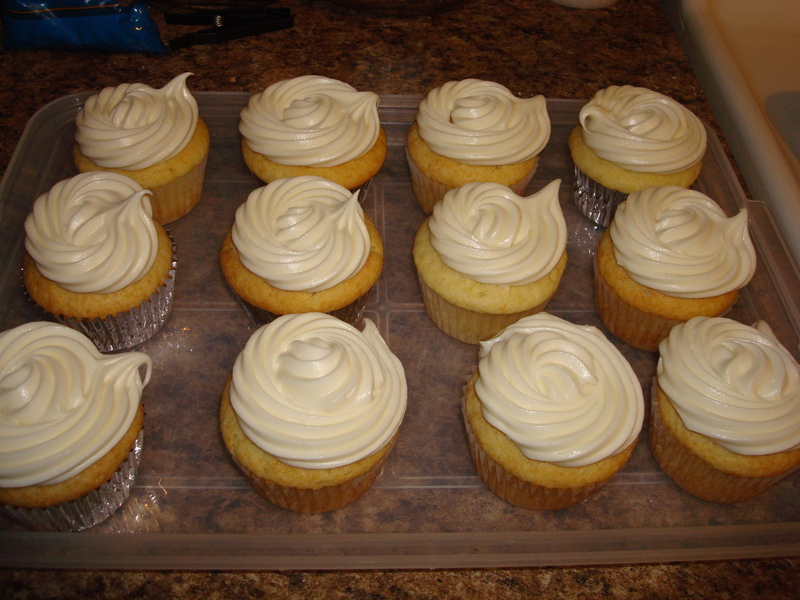 If the frosting is still a bit thicker than you’d like, add in the milk and beat well. Finally, eat! Or take to your next destination! Thank you so much for coming, Rachel! It was a blast having you there 🙂 The cupcakes were awesome, too!